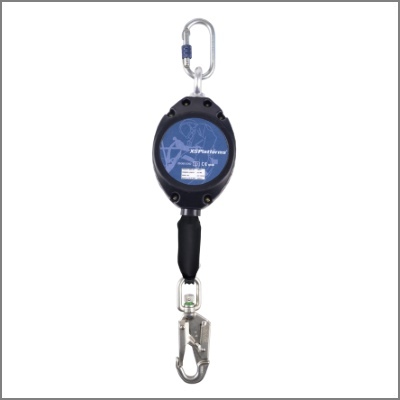 XStop is a range of automatic fall arrest devices developed by XSPlatforms, with a retractable steel cable or polyester webbing. 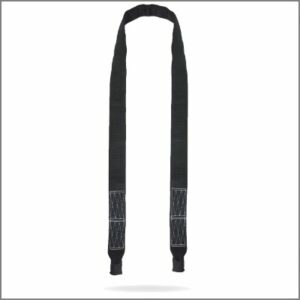 The difference between webbing and steel is that webbing is lighter and doesn’t cause damage when it scrapes alongside a beam or any other structural part. 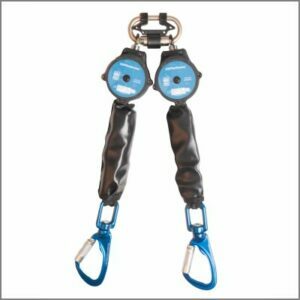 The XStop works like a seatbelt and blocks the cable or webbing when it unrolls as the user moves further away. In case of a fall, the device will block immediately. The cable or webbing is taut at all times. 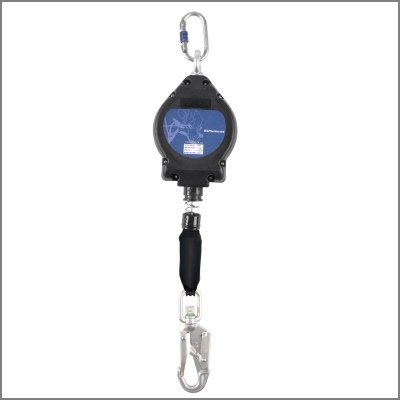 The right combination of harness and a fall arrest device can limit the shock on the body of the user to 4,5 – 5 kN: a force that will not cause permanent damage. 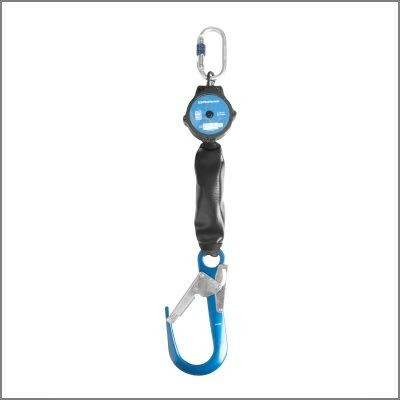 Retractable with 25 mm webbing and an internal brake to reduce force to be less than 6 kN. 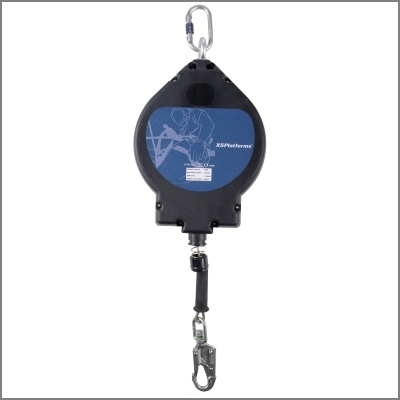 Retractable with 4,5 mm galvanized steel wire rope and internal brake to reduce force to be less than 6 kN. 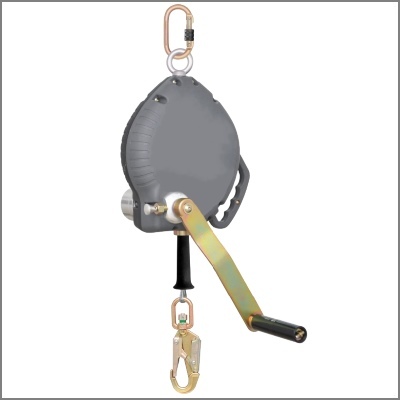 The winch can be used to raise workers from confined spaces or emergency situations after a fall. 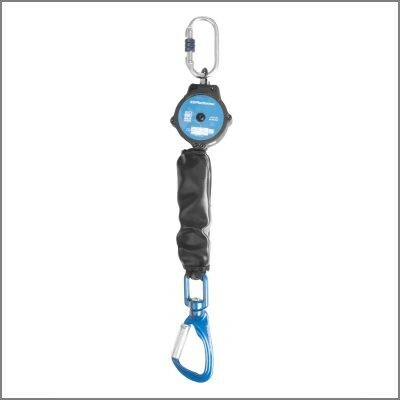 Retractable with 2 meters long, 20 mm webbing and an internal brake to reduce force to be less than 6 kN.